There is a restaurant in NYC (Zero Otto Nove) who have this amazing appetizer that I could eat mounds of. 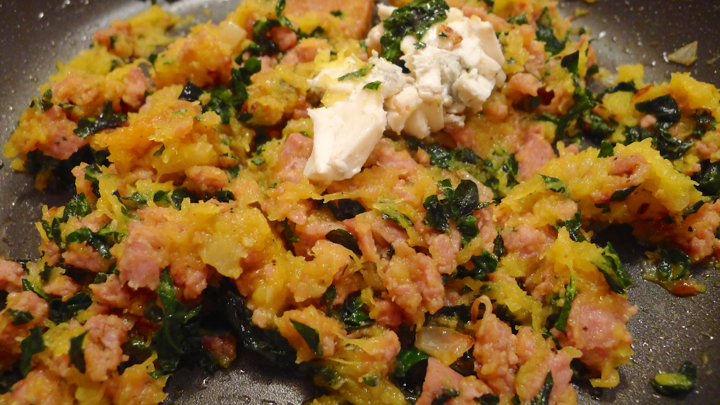 It’s very simple – butternut squash, sweet sausage, and Gorgonzola cheese. 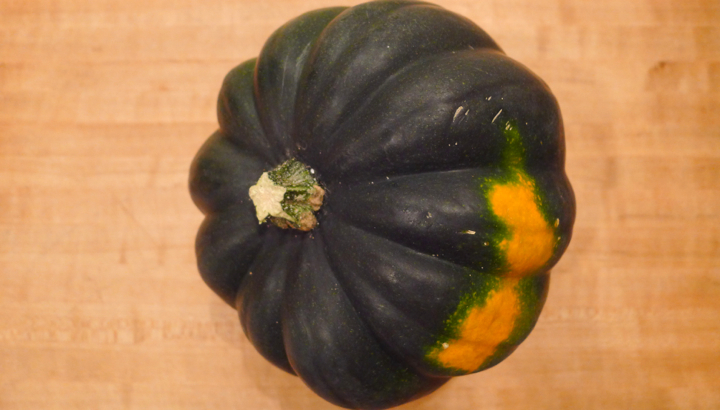 When I got a big acorn squash in my CSA bag this week, I though I would try to recreate something similar. 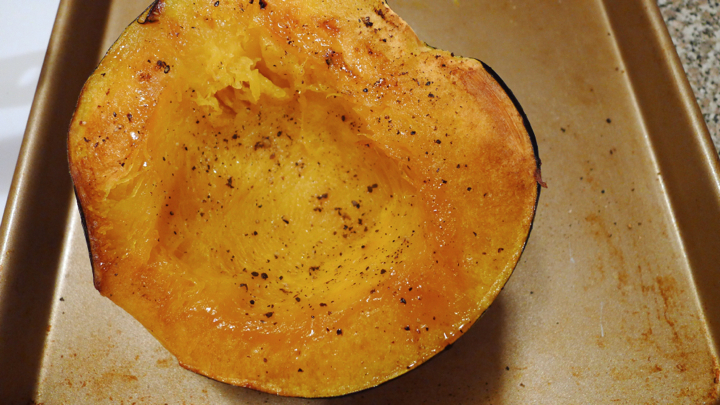 I roasted the squash and mixed half of it into the sausage mixture, then stuffed put it back into the squash shell and roasted it for a bit. 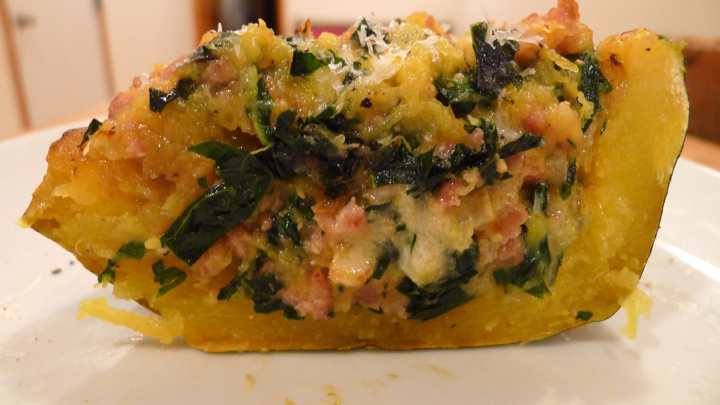 It was delicious and totally reminiscent of my favorite little dish! Preheat the oven to 400 degrees. Drizzle the acorn halves with olive oil, salt, and pepper. Place face down on a baking sheet and bake for about 30 minutes, or until fork tender. Set aside to cool slightly. 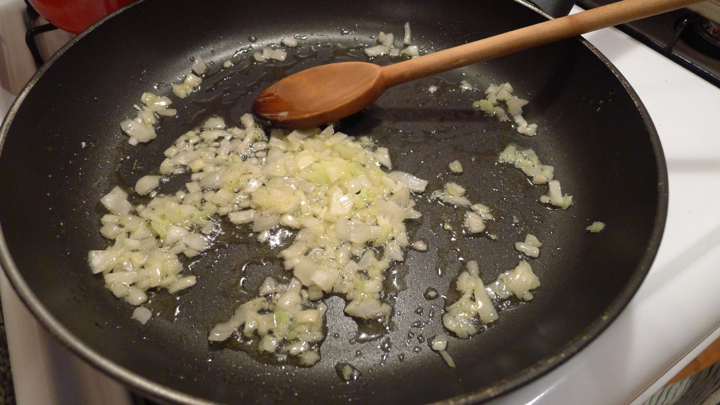 Next, in a large pan saute the garlic and onion in some olive oil until translucent, about 2-3 minutes. 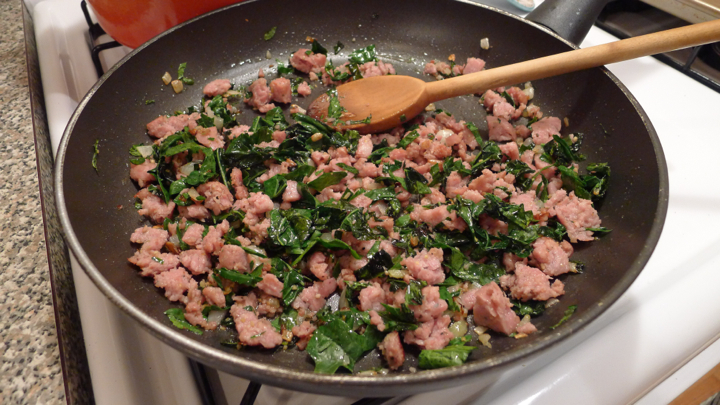 Crumble in the sausage and cook until browned. 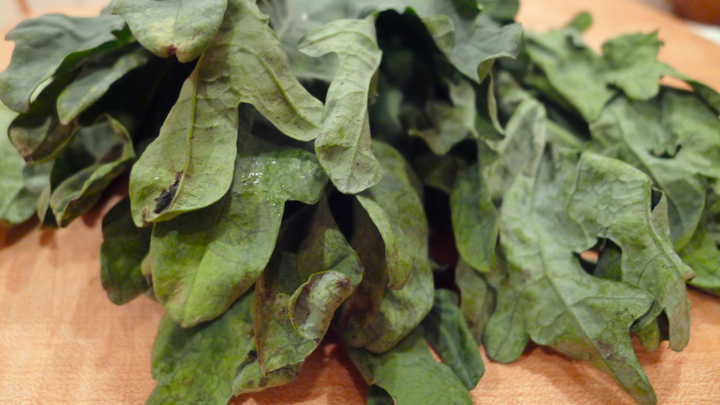 Lastly, toss in the kale and cook until wilted. 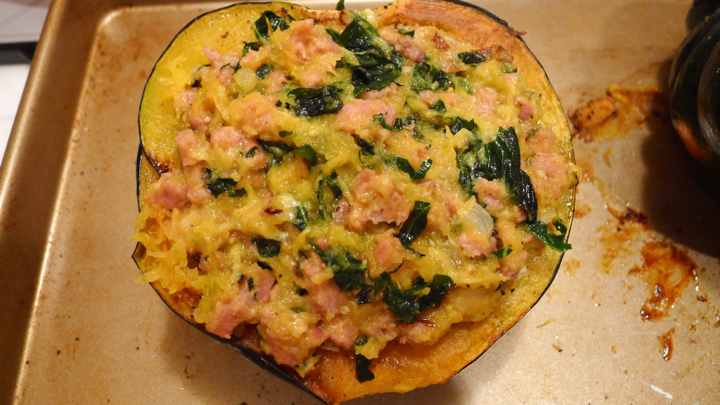 Remove half of the squash filling and add it into the sausage mixture. 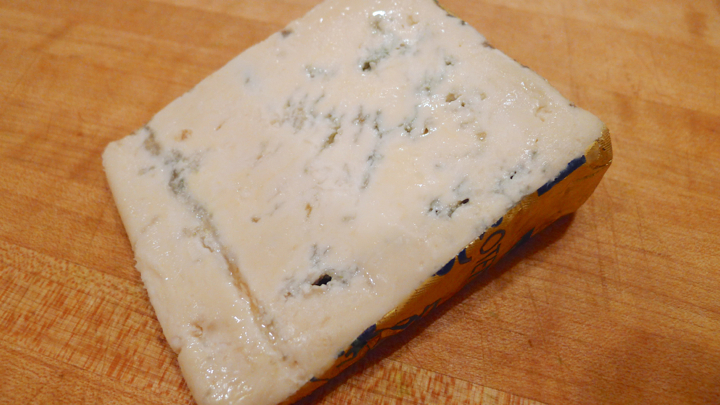 Combine well, then add the butter and Gorgonzola cheese. 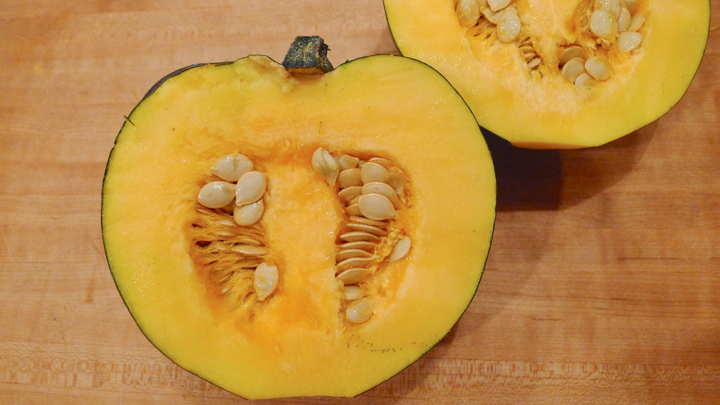 Fill both squash halves with the mixture and place back in the oven for about 10 minutes. 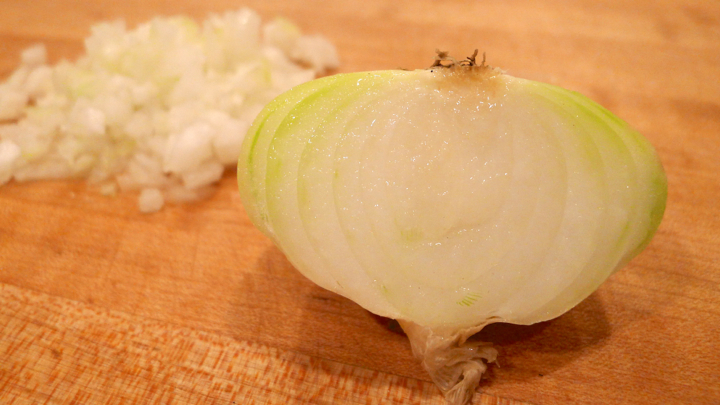 You can also broil for a few minutes to crisp the top a little. 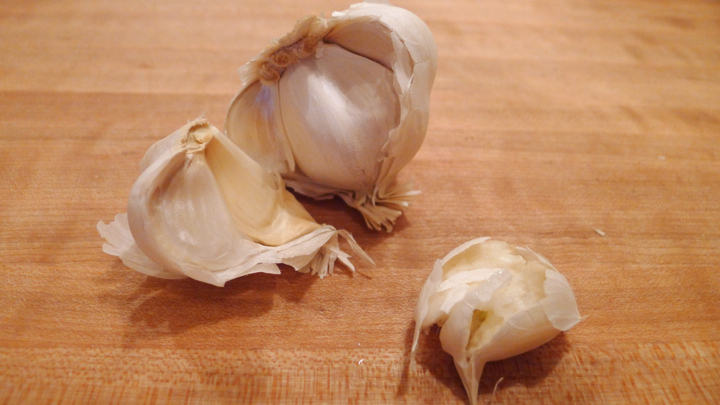 Serve with some fresh grated Parmesan cheese.